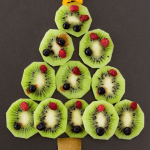 In this video recipe, you can see how easy and fun it can be to prepare a Christmas tree with fruit that children and adults can enjoy, even if they eat vegan and gluten-free. There are only a few more days left before the Christmas holiday weeks associated with an excessive consumption of food and drinks. Are you getting mentally and physically prepared to survive them? If you could use some advice about avoiding excesses and how to enjoy a healthy holiday time, have a look at my post. There, you’ll find 15 good tips. I guess, however, that you’re here because you’re looking for some Christmas recipe ideas. In that case, I would like to first suggest this post that I wrote on my Coffee & Brunch blog. 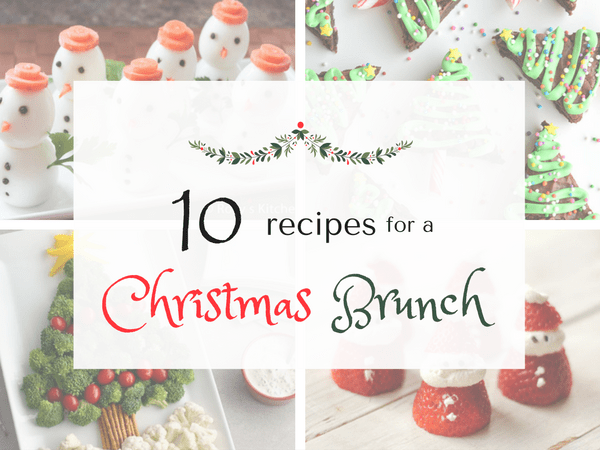 That’s where I made a list of several Christmas recipes, some of them healthy, and all of them ideal to prepare a breakfast, brunch or some Christmas snacks. This year, I have also prepared something, a video, for a really easy Christmas recipe to create a deliciously edible tree. It’s a super simple recipe, but healthy and ideal to prepare with the kids’ help. I shot this video recipe during the month of November in Bansko, the mountain village in Bulgaria where I have recently relocated. Unfortunately, I do not have access to all of the varieties of fruits and vegetables there that I had access to when I lived in Barcelona. But, on the other hand, it’s an advantage because this way, I am 100% sure to always consume seasonal products. So, if you don’t have access to fresh berries where you live, you can use frozen ones and then thaw them before using them. 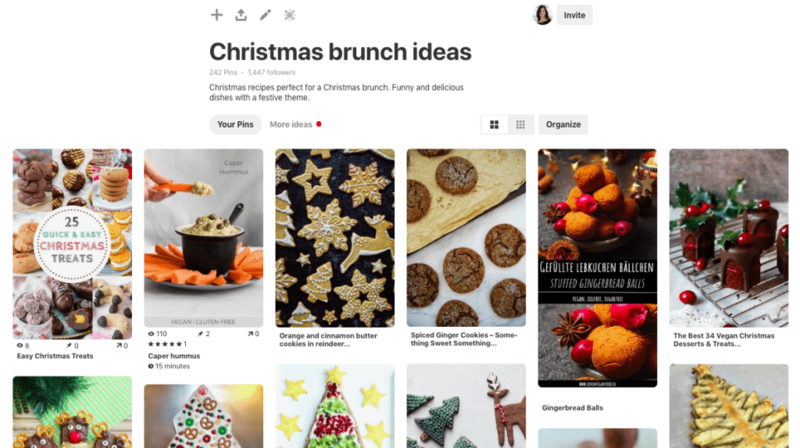 Finally, if you are looking for even more Christmas recipe ideas, here is the link to my Pinterest board that contains over 240 pins. I wish for you to enjoy the holidays. 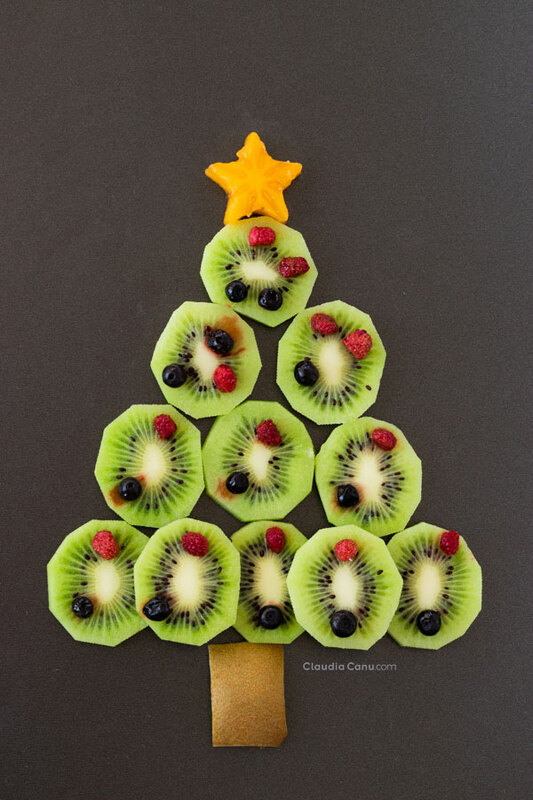 I hope you’ll have the chance to relax and be merry without the need for excesses by maintaining your healthy habits. Your turn: Do you usually prepare fun and healthy recipes for Christmas? Would you recommend any? 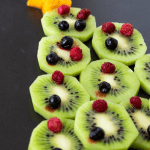 I would love to know your opinion about this little fruit tree, and don’t forget to leave a comment below using the stars to rate this recipe. This video looks just amazing and it’s a great idea to prepare it with kids. I’ll see if my niece and nephew will agree to make one with me!